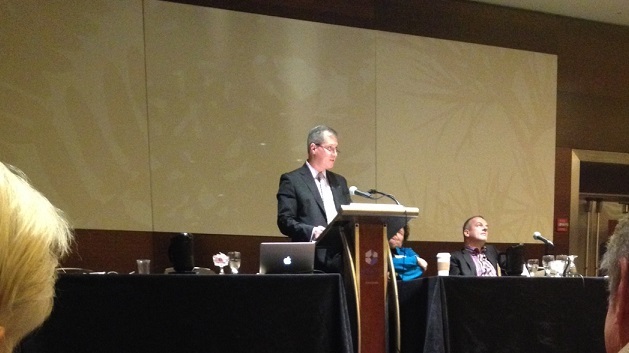 Poet David Ferry has long been known as one of the foremost translators of classical literature from the Latin. And with much-praised translations of Virgil’s Eclogues and Georgics among his expansive oeuvre of translated works, his specific talent for channeling the world’s most revered Roman poet has been well documented. Now, at nearly twice the age of the author when The Aeneid was first drafted, the nonagenarian poet has now completed his translations of Virgil’s major works. And as April Bernard (also an accomplished poet in her own right and currently a Professor of English at Skidmore) writes for the New York Review of Books, Ferry’s Aeneid has captured the essence of Virgil’s original like no other English edition available today: Ferry’s previous outings with Virgil, in his matchless Eclogues and Georgics, had already convinced me that he has some sort of uncanny connection to the great poet. Especially when reading the Eclogues, one hears a new-old voice, as if Virgil had miraculously learned English and decided it might do as well as Latin. This kind of translation almost needs a new name, to distinguish it from all the other worthy efforts to bring the ancient poets to life: it is . 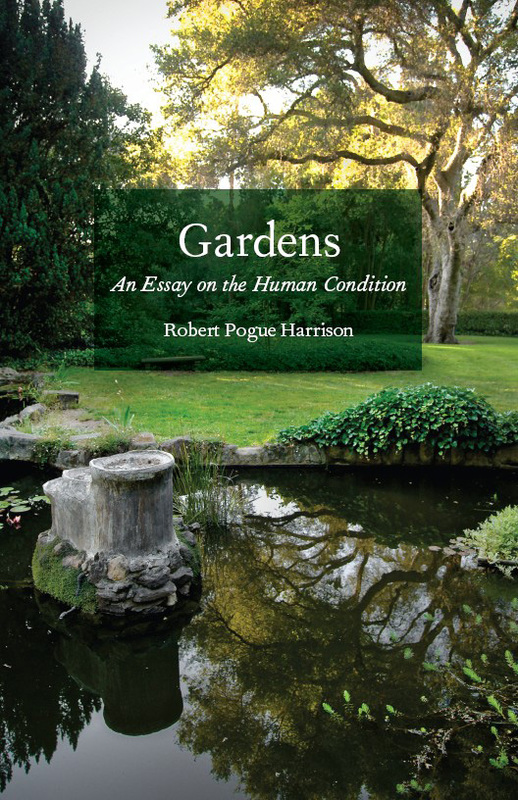 . .
Is Robert Pogue Harrison the most significant writer in the humanities? 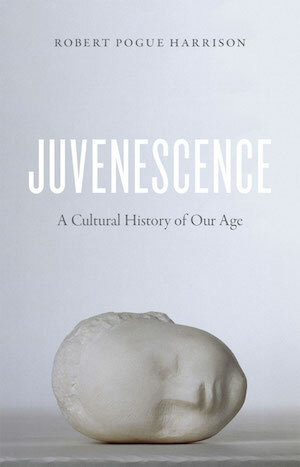 Robert Pogue Harrison’s Juvenescence: A Cultural History of Our Age explores the history of culture, from antiquity to the present, in order to frame how neotony, the retention of juvenile characteristics through adulthood, has become central to our youth-obsessed, yet historically entrenched civilization. Mired in the past, and at the same time, forced to look forward, the way in which we frame life and death errs heavy on the side of protracting the cusp of adulthood. “While genius liberates the novelties of the future,” Harrison writes, “wisdom inherits the legacies of the past, renewing them in the process of handing them down.” From the Southern Humanities Review, which considers Harrison one of our foremost academics working today: Robert Pogue Harrison, an intellectual steeped in the philosophical and literary traditions of the Western world, may be the single most significant writer in the humanities today. In three of his previous books—Forests: The Shadow of Civilization, The Dominion of the Dead, and Gardens: An Essay on the Human Condition—he developed a particular style of writing that takes readers on a journey through time, tracing a particular concept or trope as it manifests itself in a wide array of literary and philosophical works. . . . In each of his . . . In Artifact and Artifice: Classic Archaeology and the Ancient Historian, Jonathan M. Hall considers the case for archaeological history as a form of living forensics, in which the relationship between text and material—dirt and words—allows us to understand the possibilities (and limits) of using archaeological evidence to write about the past. By focusing on methodology—and its relationship to pedagogy, the construction of the archaeological imaginary, and how it determines historical approaches to antiquity—Hall helps to cast the present and future of the field. 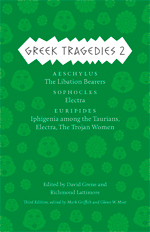 At the same time, he makes use of nine case studies, or “cautionary tales,” which explore how previous scholars, themselves knowledgeable agents, correlated textual and physical evidence, “artfully” creating both material objects and written discourse as products that need to be interpreted with art and skill. From the book’s opening pages: Can the geology and geochemistry of the Delphi region offer clues to why the oracle of Apollo was so highly regarded in the ancient world? Should the proposed redating of a single temple cause us to revise the chronology we assign to Classical art? Why did the Athenians wait so long before repairing their temples after the Persian invasion of 480–479 BCE? Can we trace the footprints . . .
A piece on Terrence Malick’s latest film To the Wonder appeared shortly after its release this April at New York Magazine‘s online site Vulture. Nothing about the title of the piece need grab you at first engagement—though “Radiant Zigzag Becoming: How Terrence Malick and His Team Constructed To the Wonder” is elegiac and ponderous and a bit of a mouthful, not unlike the reputation of Malick’s oeuvre. What ends up fascinating in this article—besides lines we like such as, “the film has struck some as a particularly Malick-y Terrence Malick film”—is the breakdown of that radiant zigzag becoming, which the writer traces to a scholarly introduction penned for an edition of Samuel Richardson’s Pamela; or Virtue Rewarded, a tawdry Stockholm Syndrome-done-good epistolary novel that shocked and awed its eighteenth-century readers. The Intro was written by our own Margaret A. Doody, the John and Barbara Glynn Family Professor of Literature at Notre Dame and a specialist in Restoration and eighteenth-century British literature. The relevant connection to Doody’s work? One odd but telling reference point Malick gave his editors was Margaret A. Doody’s introduction to the Penguin Books edition of Samuel Richardson’s revolutionary 1740 novel Pamela. In the intro, Doody discusses the . . .
Beginning this month we will offer a free e-book each month. If you’d like to give our Chicago Digital Editions a try, or if you just want to score some good reads, check in regularly for the free e-book of the month. And for all our currently available e-books, see our list of e-books by subject. 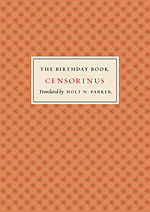 This month’s selection is The Birthday Book by the Roman writer Censorinus. Nearly 2,000 years ago, the Roman scholar Censorinus bestowed upon his best friend a charming birthday present: The Birthday Book, which appears here in its long-awaited first English translation. Laying out everything he knew about birthdays, the book starts simply, but by the conclusion of this brief yet brilliant gem, Censorinus has sketched a glorious vision of a universe ruled by harmony and order, where the microcosm of the child in the womb corresponds to the macrocosm of the planets. 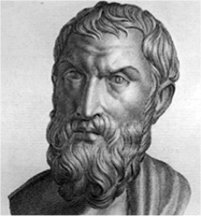 Alternately serious and playful, Censorinus touches on music, history, astronomy, astrology, and every aspect of time as it was understood in third-century Rome. He also provides ancient answers to perennial questions: Why does the day begin at midnight? Where did Leap Year come from? Which came first, the chicken or the egg? . . .
An interesting review of Maria Wyke’s new book Caesar: A Life in Western Culture appeared in the August 18 edition of the Wall Street Journal. 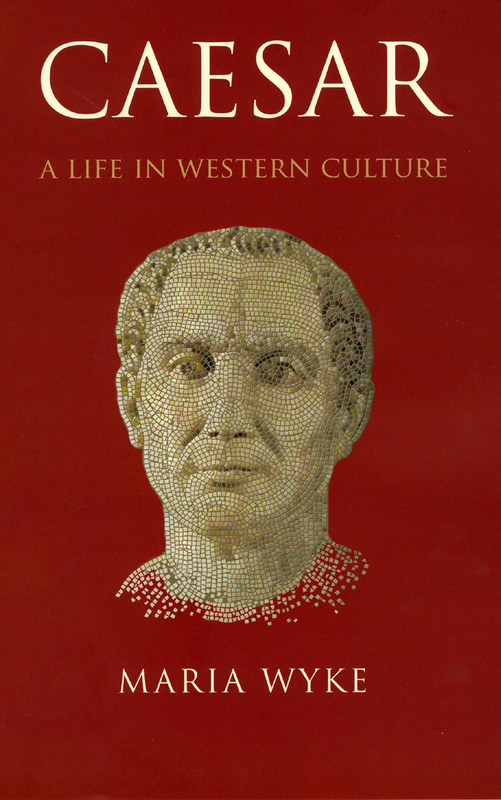 In the review, Peter Stothard praises the book for its insightful exploration of the various ways in which modern culture has invoked and appropriated Caesar and his legacy—from Mussolini, seeking a Caesarian mandate for this own grand ambitions, to Caesars Palace, Las Vegas: Ms. Wyke’s concern is how we have created and adapted Caesar’s image and historical importance over the past 2,000 years… The principle behind this kind of study is known as “reception theory.” Its typical proponent is skeptical of how much we can know of what someone like Caesar and his contemporaries did and thought; a reception theorist is much more confident of how we have come to use and think about them ourselves. A comic book can thus be as important as a commander’s campsite. A bust loudly but unconvincingly proclaimed by its discoverer to be authentic is as significant as a newly interpreted paragraph from “De Bello Gallico.” The skill of a reception theorist such as Ms. Wyke lies in what she chooses to include and what she chooses to leave . . . 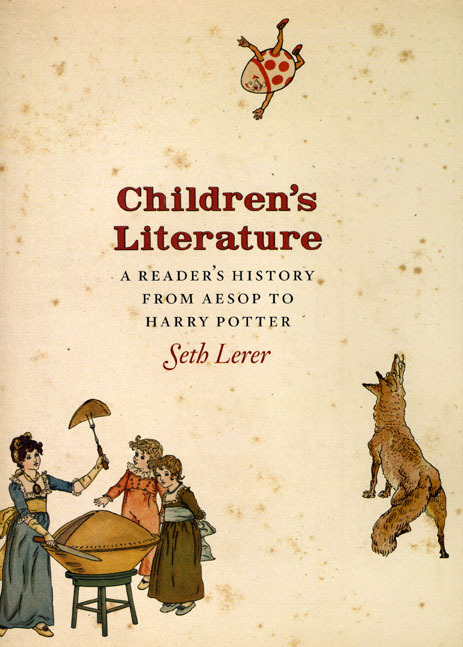 In today’s edition of the New York Sun Eric Ormsby reviews two new histories of children’s literature including Seth Lerer’s new book, Children’s Literature: A Reader’s History from Aesop to Harry Potter. In the review Ormsby praises Lerer for his ability to capture the special role the iconic books of childhood play in the lives of young readers. Ormsby writes: In Children’s Literature: A Reader’s History from Aesop to Harry Potter Seth Lerer notes that the history of children’s books is a study “of books as valued things, crafted and held, lived with and loved.” This fundamental insight gives a human touch to what might otherwise have been a dusty foray into long forgotten hornbooks and primers. But Mr. Lerer, a philologist by training — and professor of English at Stanford — loves words, as well as the books made from them, and he is an impassioned reader. Whether he’s discussing the grim New England Primer of 1727 or the decisive impact of Darwinism on late-19th-century children’s fiction, he has a keen sense of what he nicely calls “the pocket-worlds of childhood.…” As Mr. Lerer says, “the adventures of the child go on in secret spaces: in the purses, pockets, . . .